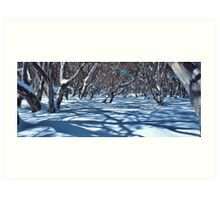 This was taken between Mt.Hotham and Dinner Plain, at JB Plain in the Victorian Alps. 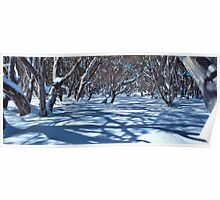 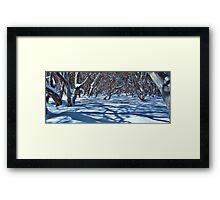 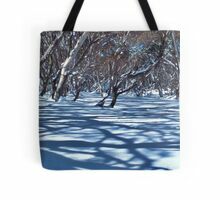 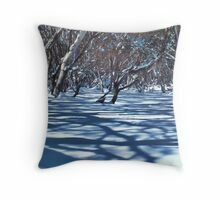 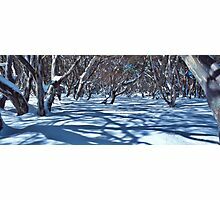 It shows one situation where shooting in the middle of the day was the best time as the broad snow gum canopy cast a nice consistently patterned shadow across the fresh snow. 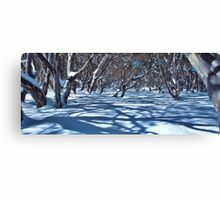 You’ve really captured a slice of the great australian alpine experience here, love it. This is a truly great capture!!!!! 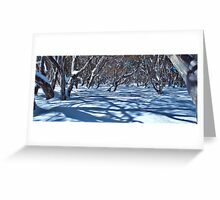 beautiful invitation to the enchanted forest…I like how you make in landscape, did you use special camera to make image long?